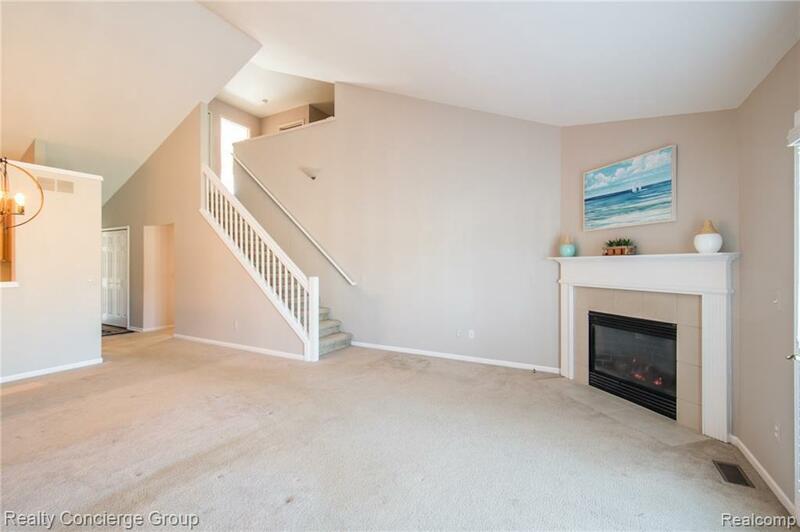 This wonderful 1 1/2 story condo has over 1900sqft, 3 bedrooms, 3 full baths and features an open floor plan and vaulted ceilings. Kitchen has lots of cabinet space and includes all appliances. 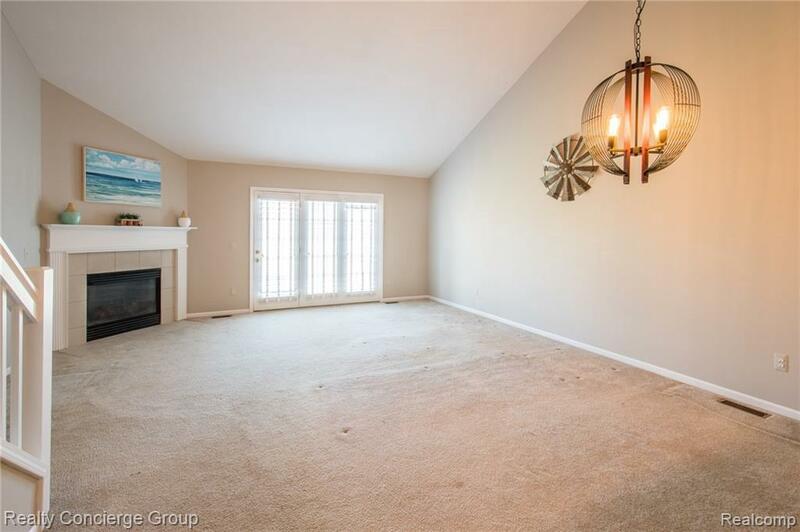 Cozy up in the family room next to the fireplace on those cold Michigan nights. Main floor master bedroom has vaulted ceilings, walk-in closet, and private bath. 1st floor laundry includes washer and dryer. 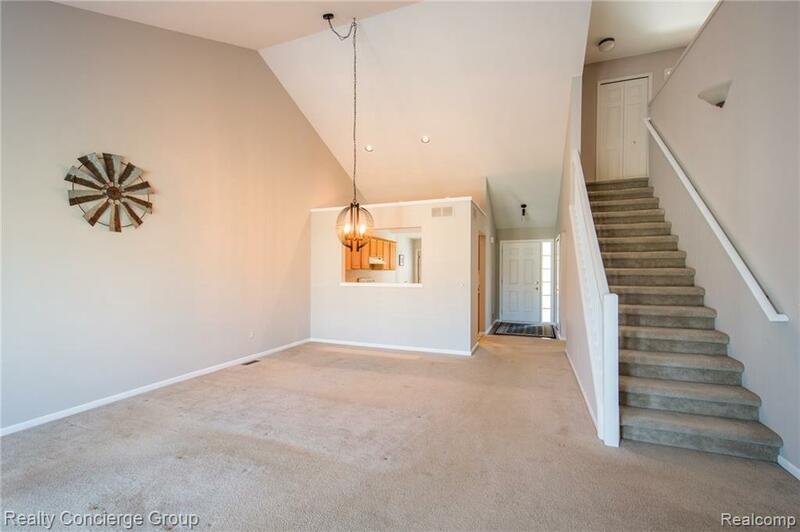 Upstairs loft is perfect for an office or play room for the kids! 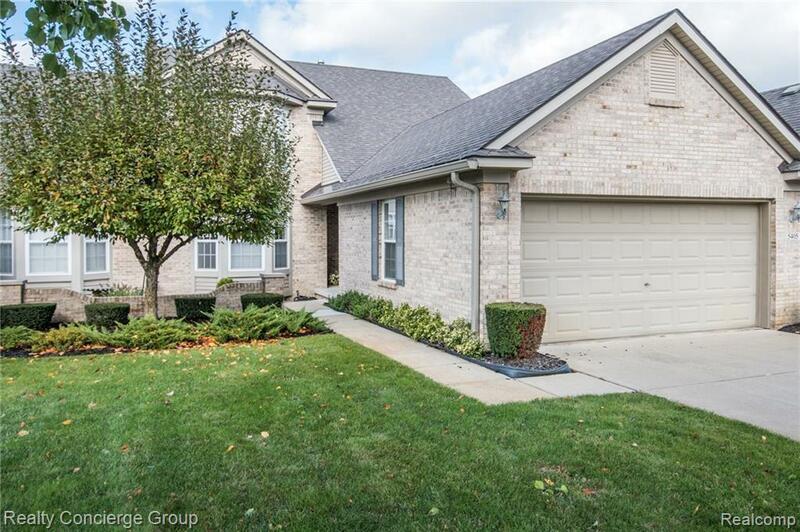 Finished basement has a non-conforming 4th bedroom, family room area, and tons of storage. 2 car attached garage. Enjoy the quiet life and relaxation right on the golf course. Beautiful back yard overlooks the 16th tee and 15th green!